Parking Instructions: Free parking is available in Roope Street and in the designated signed area behind the hotel next our centre. Please ensure you park in the spaces marked for the New Town Skin Cancer Centre. At New Town Skin Cancer and Skin Repair Centre, we provide a comprehensive approach to looking after the health of your skin and offer trusted advice in the areas of skin cancer diagnosis, management, repair and rejuvenation. We offer full-body dermal imaging using the latest technology with ongoing photographic surveillance and monitoring of moles, and we are dedicated to ongoing patient and community education to prevent skin cancer and promote early detection. We help with both short- and long-term treatment options for skin cancers, benign lesions, seborrhaeic keratoses, cysts, and skin tags. We also offer skin rejuvenation treatments to patients looking to restore a natural, more youthful appearance to their skin. Treatments include antiwrinkle injectables, injectable fillers, photodynamic therapy (PDT), LED light therapy, chemical peels, microneedling and scar revision, and micro-dermabrasion. Ideally located just four kilometres north of the Hobart CBD, we give patients prompt and effective access to skin screening, diagnosis, treatment, repair, and rejuvenation. 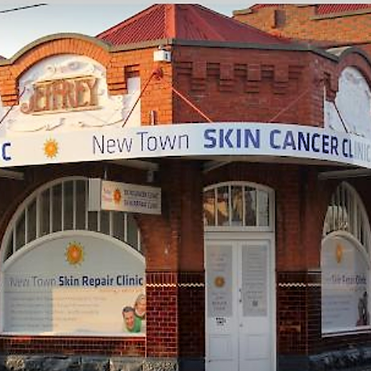 The New Town Skin Cancer Centre is part of the National Skin Cancer Centres. We place a strong emphasis on excellence in medical care, which is strengthened by our commitment to research and education. All our doctors and support staff are involved in the ongoing education of GPs in Australia through university-certified Skin Cancer Medicine programs. As part of our comprehensive approach to diagnosing and managing skin cancer, we can take photographs of your entire skin surface or any suspicious lesions on your body. Changes in the size, shape or colour of a mole can be indicative of skin cancer, so digital imaging allows us to compare changes over time and leads to earlier detection of the disease. Digital imaging is the most reliable means of accurately tracking changes over time and producing potentially lifesaving results as the high-resolution images allow easy side-by-side comparison at follow-up appointments. Using the latest technology, we can detect skin cancer at its earliest stage when it is most manageable and requires least invasive treatment. As new or changing skin spots are the first indication of skin cancer, you can be assured that no melanoma goes unnoticed. We approach aesthetic medicine with the same level of respect and credibility as skin cancer medicine. We offer skin repair and rejuvenation treatments for anyone wishing to restore a natural, more youthful appearance to their skin. Our doctors have undergone formal training in this exciting medical field with the aim of providing your skin with a healthier and more refreshed look. Using the latest technologies including injections, light therapy and chemical peels, our doctors will accurately and safely address your medical and cosmetic skin concerns. 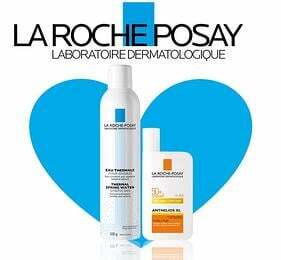 Treatments can be used to combat signs of ageing, skin cancer, sun damage, acne, rosacea, and other skin conditions. We charge a theatre fee which is an out of pocket cost to the patient, which can vary up to $145 - $200 for private patients, depending on the complexity of the procedure. Part of the procedure cost is rebatable from Medicare. Our staff will explain all costs involved at the time of the consultation.